Their power: These giant robots can detect the mutant X-gene and are armed with weaponry that can be used to subdue or kill mutants. Later models of Sentinels were given the ability to adapt to and replicate other mutant powers. Their story: Created by Bolivar Trask, these mutant-hunting machines are the major threat of X-Men: Days Of Future Past. In the year 2023, Sentinels are sleek, terrifyingly efficient mutant-hunting machines, rounding up both mutants and their human allies into camps. Sentinels also do plenty of killing, and the X-Men are their victims over and over again, only saved by last-minute time travel. Wolverine is sent back to 1973 to prevent Mystique from killing Trask, an event that inspires the U.S. government to continue developing Sentinels and gives them a significant upgrade thanks to Mystique’s DNA and her highly adaptable mutation. 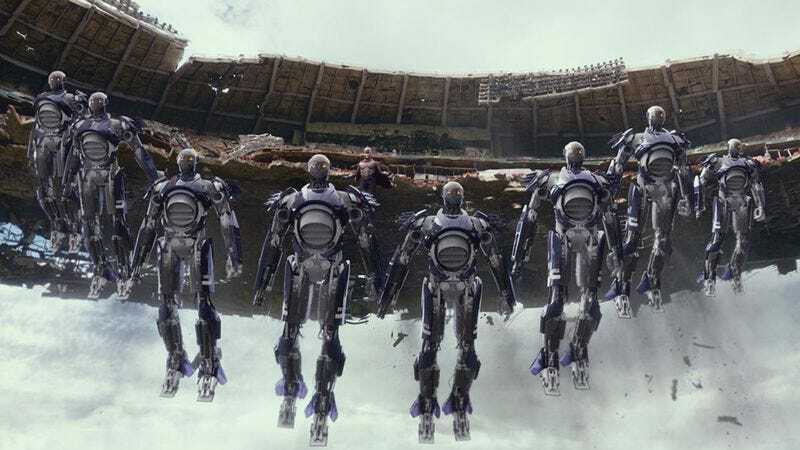 The Rogue Cut of Days Of Future Past reveals that Rogue’s mutation-stealing powers are also integrated into Sentinels, but none of this comes to pass in the new timeline created by Wolverine’s success. Magneto hijacking Sentinels to threaten President Nixon’s life puts an end to the Sentinel program, and the machines never evolve past their hulking, primitive first models.